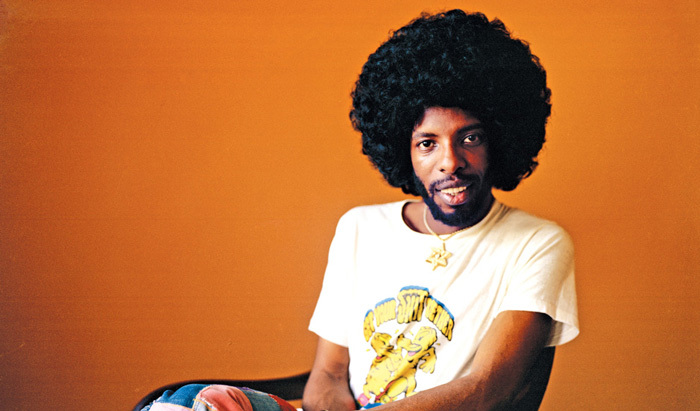 Sly Stone is an American singer-songwriter and musician who is widely regarded as one of the inventors of funk music. He brought a fusion of soul, rock, gospel, and psychedelia to create a new explosive style of music that broke boundaries and redefined ‘black music’. Stone’s music ignored racial and gender restrictions and proved to be a huge influence on artists of all musical and cultural backgrounds. Born in Denton, Texas on March 15, 1943 to a middle-class religious family, Stone developed an interest in music at an early age. After playing in a number of fairly successful bands, he earned a reputation in the Bay Area music industry by working at Autumn Records. Sly Stone founded the Family Stone in 1967. The band became widely popular in the late 1960s with a series of hugely popular anthem-like pop singles, most of which became one of the most influential and energizing songs in the era. Stone’s work incorporated socially relevant themes and laid the foundation for much of the street funk, soul, and disco music of the 1970s. He cemented his status as an icon of popular music with his highly energetic and memorable live performances. After securing a record deal from Epic in 1967, the band release their first nationwide hit “Dance to the Music” in 1968. Its success led to a U.S. tour and several television appearances. The band’s legendary performance at the Woodstock festival in 1969 was the zenith of Sly’s career, but a number of problems arose one after another with his tremendous fame and success. The band officially broke up in 1975 and Stone recorded four albums as a solo artist. His last major public appearance was his brief stay at the 2006 Grammy Awards on in February 2006. Sly Stone was inducted into the Rock and Roll Hall of Fame as a member of Sly and the Family Stone in 1993. Sly Stone married model-turned-actress Kathy Silva in 1974. The couple filed for divorce in 1976.